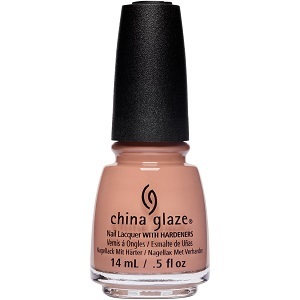 China Glaze Nail Polish, A Whole Latte Fun! 1545, .50 fl. oz. Soft warm skin-tone beige jelly/creme nail color.